Dr Ngozi Okonjo-Iweala, Gavi Board Chair, and Dr Seth Berkley, Gavi CEO, present Dr Cyrus Poonawalla with the inaugural Vaccine Hero award at Gavi’s mid-term review in Abu Dhabi. Credit: Gavi/2018/Oscar Saykens. Abu Dhabi, 11 December 2018 – Dr Cyrus Poonawalla, Founder of Serum Institute of India (SII) and Chairman of Poonawalla Group, has been given the first ever Vaccine Hero award by Gavi, the Vaccine Alliance. SII now supplies 40% of the vaccines funded by Gavi. Over the Alliance’s 2016-2020 strategic period, SII will provide more than half a billion doses for Gavi-supported vaccine programmes protecting children against nine diseases – measles, rubella, meningitis A, rotavirus and, through pentavalent vaccine, diphtheria, pertussis, tetanus, Haemophilus influenza type B and hepatitis B. The award was presented at a ceremony in Abu Dhabi as part of Gavi’s mid-term review, a high-level conference celebrating Gavi’s progress and impact in the world’s poorest countries. By the end of 2018, Gavi will have contributed to the immunisation of 700 million people and the prevention of more than 10 million future deaths. This has contributed to an acceleration in the decline of global under-five mortality rates and brought wider impact beyond immunisation. As well as reviewing progress made since the last Gavi replenishment in Berlin in 2015, this high-level conference is also an opportunity to shape Gavi’s future and help overcome the challenges preventing children from receiving the full course of recommended vaccines. Immunisation is a cost effective and high impact intervention that is core to primary health care and provides a robust platform to deliver better health for all. Gavi, the Vaccine Alliance is supported by donor governments (Australia, Brazil, Canada, Denmark, France, Germany, India, Ireland, Italy, Japan, the Kingdom of Saudi Arabia, Luxembourg, the Netherlands, Norway, the People’s Republic of China, Principality of Monaco, Republic of Korea, Russia, South Africa, Spain, the State of Qatar, the Sultanate of Oman, Sweden, Switzerland, United Kingdom, and United States), the European Commission, Alwaleed Philanthropies, the OPEC Fund for International Development (OFID), the Bill & Melinda Gates Foundation, and His Highness Sheikh Mohamed bin Zayed Al Nahyan, as well as private and corporate partners (Absolute Return for Kids, Anglo American plc., The Audacious Project, The Children’s Investment Fund Foundation, China Merchants Group, Comic Relief, Deutsche Post DHL, the ELMA Vaccines and Immunization Foundation, Girl Effect, The International Federation of Pharmaceutical Wholesalers (IFPW), the Gulf Youth Alliance, JP Morgan, “la Caixa” Foundation, LDS Charities, Lions Clubs International Foundation, Majid Al Futtaim, Orange, Philips, Reckitt Benckiser, Unilever, UPS and Vodafone). Making his comeback into the corporate world, Tata Sons’ former Chairman Cyrus Mistry has started a firm Mistry Ventures LLP that will invest in and nurture start-ups in India and across the world. The venture capital firm will provide strategic insights and advice to businesses, incubate new ventures, and provide seed, early stage and growth capital to start-ups. Incidentally, the announcement coincides with the second year of Mistry’s ouster from Tata Sons, following a boardroom coup on October 24, 2016. “The intent to deliver profit with positive social impact will be embedded in each of the ventures we promote or partner with,” Cyrus Mistry said in a statement. “Mistry Ventures will do more than just invest in companies. By interpreting some of the major global and local trends and understanding their impact on industries and companies, we will incubate new businesses, forge partnerships and make investments across sectors. Mistry Ventures will focus on providing mentorship and infusing unique capability sets to help start-ups craft the appropriate business experiments needed to validate, scale and bring products and services faster to market,” he said. The VC firm is jointly promoted by Cyrus Mistry and his elder brother Shapoor Mistry, both promoters of Shapoorji Pallonji Group (SP Group), a conglomerate operating in the engineering and construction, infrastructure, real estate among others. The group also has presence in energy and financial services sectors across 60 countries. The new firm has roped in Ashish Iyer, Senior Partner and previously Global Leader, Strategy Practice at the Boston Consulting Group, to lead the firm. “Iyer has worked with companies across sectors globally and brings deep expertise across domains and capabilities such as strategy, go-to-market, digital and innovation among others and I am very excited to have him on board,” Mistry added. Mistry, who was the sixth chairman of the Tata Group between 2012 and 2016, was ousted following a board room coup on October 24, 2016. On December 20, 2016, through family-run firm Cyrus Investments he moved the Mumbai Bench of National Company Law Tribunal (NCLT) against Tata Sons and others for oppression and mismanagement. In July this year, NCLT dismissed Mistry’s petition, ruling in favour of Tata Sons, following which the former chairman moved the National Company Law Appellate Tribunal (NCLAT) in New Delhi. Dr Cyrus Poonawalla, Founder of the world’s largest vaccine manufacturer, Serum Institute of India, has been nominated from India for the prestigious Nobel Prize ,said Dr Parvez Grant, Managing Trustee of the Ruby Hall Clinic. He was speaking in an event held in JW Marriot, Pune on Sunday to felicitate of Dr Cyrus Poonawalla who was recently conferred an honorary ‘Doctor of Humane Letters’ degree by the Massachusetts Medical School at Boston for his unparalleled work in the field of immunisation at the global level. Dr Poonawalla was awarded the Padma Shri in 2005 for his contribution to medicine, and a Lifetime Achievement Award by the then Prime Minister Manmohan Singh. Missing Sam – Paucity of Real Life Heroes today! 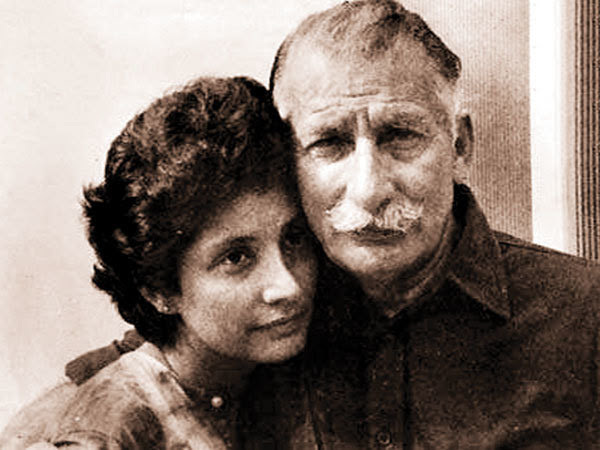 After the resounding success of ‘Raazi’, director Meghna Gulzar is all set to tell the story of Field Marshal Sam Manekshaw, who led the Indian Army during the Indo-Pakistan War of 1971 as Chief of the Army Staff. 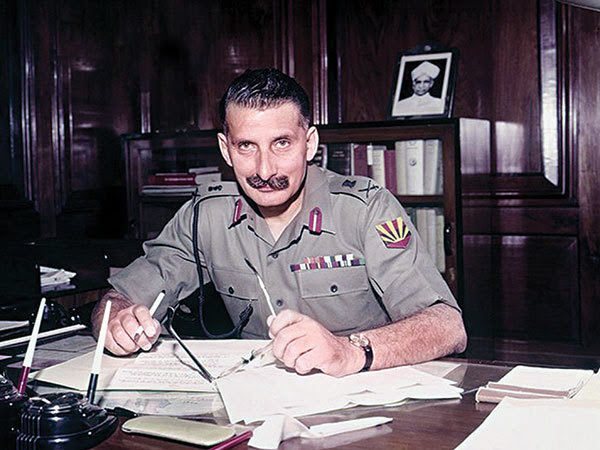 He was the first Indian Army officer to be promoted to the rank of Field Marshal. Tata Group patriarch Ratan Tata was today felicitated by Maharashtra government with a special award for his contribution to the development of the state. I am currently in Mumbai for three weeks. B. Tarapore, the only Parsi winner of Param Veer Chakra. obituaries of several Parsi officers and men. of bringing out new and innovative books in the service of the community. statues highlighting their contribution to humanity.